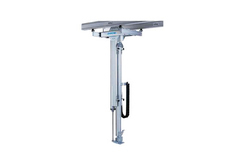 These are simple machines that comprise a wheel with a groove meant for heavy duty applications and manual lifting of materials. The chain pulleys have a unique cover design that help smoothening hand chain operations. The surface hardened gears are present for an extended working life along with anti corrosive powder coated finish. Packaging Details: Delivered in either Cardboard boxes or Wooden boxes depending on the model and capacity. We offer our customers a complete range of Indef Cranes that are manufactured with Heavy Duty Robust Design. In accordance to IS 3177 / IS 807, components/parts of the cranes are confirmed to class - I duty. We proudly represent Usha Martin Wire Rope division for Madhya Pradesh region. Usha Martin is known for manufacturing one of the widest range of wire rope products in the world. Usha Martin rope application spread all over the world is a testimony of its high quality products and services.The ropes manufactured by Usha Martin are today serving some of the most critical applications across diversified industrial segments. 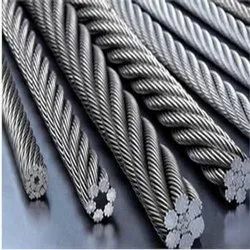 These wire rope products have promptly delighted its users for its high quality and long life. For Rope testing,breaking strength test of rope sample is done in 100 MT and 800 MT testing machines. With its quality testing procedure, Usha Martin ensures that the wire ropes manufactured are of superior quality and match the demanding requirements of users. These work electrically for the smooth up and down movements of heavy loads. Equipped with a built in electrical control panel the chains are designed to meet high speed operation in order to increase the productivity. 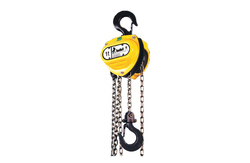 Prepared with a Grade 80 Load Chain for Long chain life & a higher safety factor. The chains are precisely engineered & uses Case Hardened Alloy Steel Gears & Load Chain Wheel which promotes long life and noiseless operation. Packaging Details: Delivered in wooden boxes. 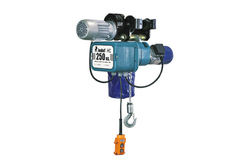 We offer our customers a unique range of Wire Rope Hoists that is manufactured with Heavy Duty Robust Design. 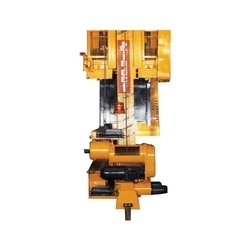 Available in modular construction these have easily accessible separate brake, motor, gear box and panel unit. 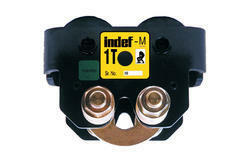 We offer our customers a unique range of Indef Trolliesthat are manufactured with Heavy Duty Robust Design. Packaging Details: Cardboard / Wooden Boxes depending on the model. Providing you with the best solution for Automated Storage & retrieval system. 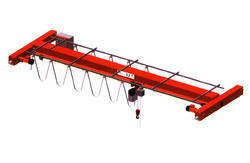 Looking for Material Handling Products ?